Love her or loath her you can’t ignore Bjork’s passion for pushing the boundaries both musically and visually and her new album Volta set to drop on the 7th May looks set to push this further. Hotly tipped as her best album since her 1993 “Debut” album, Volta is Bjork’s sixth full-length studio album. Once again Bjork has enlisted M/M from Paris for the art direction and design, with photographer Nick Knight shooting the album cover. 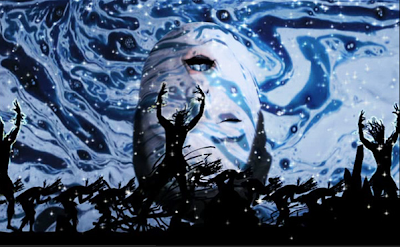 The lead-off single from Volta, “Earth Intruders”, has been co-produced by Timbaland with Michel Ocelot directing the video. I was going to post the new video but it was removed from You Tube, but has since been re-up loaded by the record label who have decided to disable the embed option on the video. But you can view it over on You Tube here.